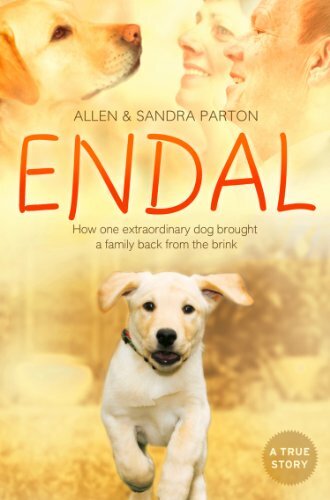 The remarkable story of Endal, voted ‘Dog of the Millennium’, and how, through his remarkable skills, companionship and unstinting devotion, he gave Allen Parton a reason to live again. Allen Parton was seriously injured while serving in the Gulf War. He lost the use of both of his legs, plus all memories of his children and much of his marriage. He was left unable to walk, talk or write - isolated in his own world. After five years of intensive therapy and rehab, he was still angry, bitter and unable to talk. Until a chance encounter with a Labrador puppy - Endal - who had failed his training as an assistance dog on health grounds. They 'adopted' each other, and Endal became Allen's reason to communicate with the outside world, to come to terms with his injuries, and to want to live again. Not content with learning over 200 commands to help Allen complete everyday tasks like getting dressed and going out to the shops in his wheelchair, Endal gave Allen the ability to start living again, and to become a husband and father again in his own special way. This is the incredible story of Allen, his wife Sandra, and his family. And, of course, Endal.